It’s widely accepted that riding your bike is good for your heart. 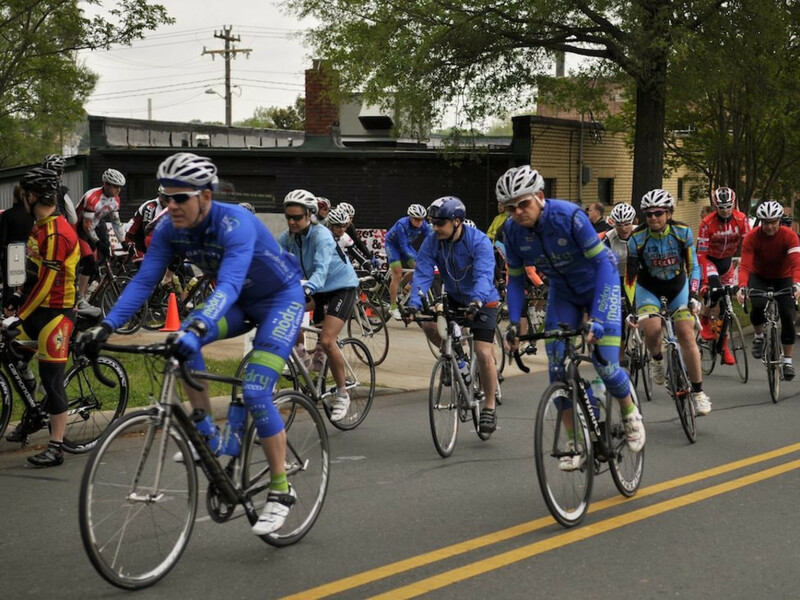 Riding your bike in Charlotte on Saturday morning, May 3 may help a lot of other hearts as well. Corarctation of the aorta. Pulmonary / Tricuspid Atresia. Mitral Stenosis. Most of us would struggle to pronounce these terms much less know what they mean. For the families of children born with serious heart defects these words have become part of their everyday vocabulary. For the past 5 years, Camp LUCK has added a different set of words into the lexicon for these kids; Swimming, rock climbing, athletics, confidence, normalcy. Camp LUCK (which stands for Lucky Unlimited Cardiac Kids) runs two events each year. In May is the family weekend and in September they hold a week long live-in kids camp for ages 7 - 14. Both events are held at Camp Cherokee in Kings Mountain State Park about 45 minutes west of Charlotte. The majority of campers are from the Charlotte area with some coming from other parts of NC. “This provides an opportunity to kids who wouldn’t be able to go to a traditional camp” says Julia Engel, Board Member of Camp LUCK. “The camp provides medical facilities and staff. They administer medications and provide a safe environment. Last year we had one child who had to be transported to the hospital a few times for dialysis during the week”. The benefits of summer camp like learning about new activities and how to make good choices when you’re not at home apply here. But these camps also provide something unique to these special kids. “They get to meet other people like themselves” says Engel. “They see other kids running around with zipper scars (from transplants and other surgeries) and they aren’t so embarrassed. It’s a safe place to build friendships”. Last year 90 children were able to attend including 8 who had received heart transplants. One of the best things about Camp LUCK is that it’s free for families to send their kids. They even get to bring a sibling to camp with them at no cost. The events are partially supported by individual donors, grants, and corporate sponsors. 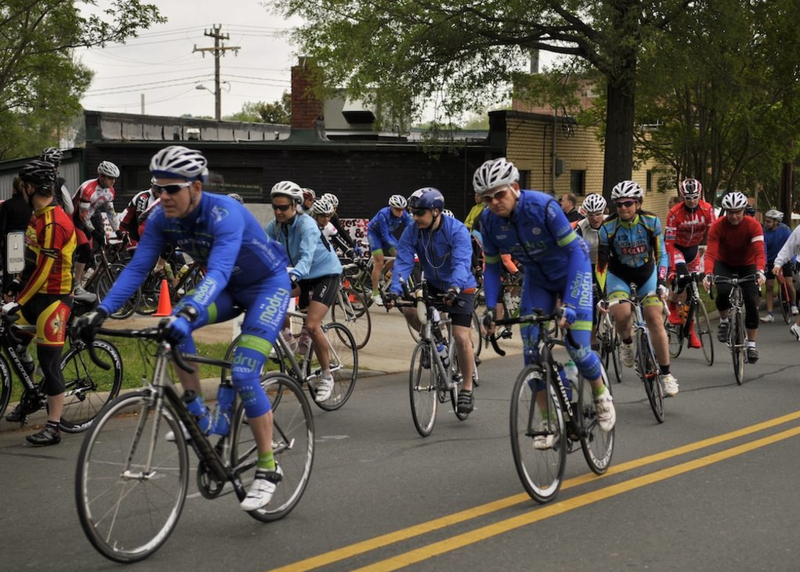 One of the coolest fundraisers, however, is the Bike LUCK event. Bike LUCK consists of three different rides; a 63-mile metric century, a 30-mile half metric century, and a 5-mile family ride. Every level of rider is welcome. All rides start and end at Atherton Mill, 2104 South Blvd. Just like the camps, Engel says these rides have something extra special. “Our Heart Families work the rest stops. They provide homemade baked goods, hand out water and snacks, and design a theme for each stop”. When asked what the themes were, Engel said they were “Top secret. Last year we had one with a Duck Dynasty theme. They’re all like our atmosphere at camp”. This is the second year of the event. Last year’s ride raised over $20,000 with 100% of the proceeds going to support Camp LUCK. Julia Engel knows a little something about what these kids are dealing with. She was diagnosed with ventricular septal defect when she was born and has had seven pace makers over the course of the last 30 years. But with three Boston Marathons, multiple century bike rides, ultra runs, and one Ironman distance Triathlon in her list of achievements, there is one more word the kids can expect to learn from her and the team at Camp LUCK: Hope.